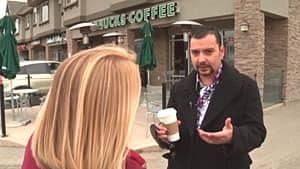 A Calgary couple is warning home sellers to beware of real estate rent to own schemes, where unlicensed agents offer to find buyers to rent or lease to own homes. Several new websites have surfaced in the last year offering to put sellers and buyers together in rent or lease to own deals, similar to automobile leasing. It appears they are increasingly attractive in tight markets across the country, for owners who have trouble selling and buyers who can't get conventional financing. “In this financial climate, people find themselves in positions where they have to sell,” said Henry’s husband, Terry, who moved his family to Alberta from B.C. several months ago, for better job opportunities. "You receive a percentage of [the value of] your property up front, and that would have put us into a better financial position than we were [in],” he said. "These individuals are preying on the financial market where people really need to get moving quickly." When the Henrys tried the rent-to-own route in the fall, the deal fell apart early. 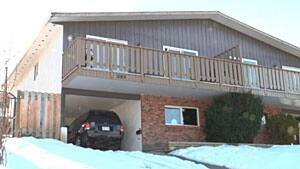 The so-called prospective buyer has been occupying their property in Vernon, B.C., and hasn’t paid them a cent. “All the way through this, we have trusted people we shouldn’t have trusted ... and we’ve had a really, really difficult time,” said Maxine. The only person who made any money was Dell Burnett, owner of Kelowna Home Deals, who arranged the deal. The company advertises it will buy houses – as real estate investors — then find buyers who pay rent with an option to buy later. "When we sell houses, we do it with a lease with an option to purchase,” Burnett said. Burnett is not a licensed realtor, but he gets around that by first getting a vested interest in the property, on paper. He can then turn around and sell the property without a licence, as any homeowner can. When the Henrys signed on in September, Burnett drew up a tentative contract to give him an option to purchase their half of a duplex — an option he could then transfer to a buyer. “If you have equitable interest in a property and money changes hands then you can buy and sell,” he said. "If you buy a home as a homeowner, you don’t have to be licensed to sell it." The proposed contract said the Henrys would get $1,300 per month rent, with $200 of that going toward an eventual purchase. There would also be a $3,500 deposit put down, toward the final sale, with a pre-set purchase price of $233,500. Burnett said he would have made money if and when the sale went through. The Henrys gave Burnett keys to the home, so he could show it. A month later, Burnett told the Henrys he’d found a buyer who gave him $1,500 toward a deal. “We have sold the duplex to a lady who will start paying rent as of November 1st!” Burnett wrote in an email to the Henrys in October. Carlotta Lam then moved into the Vernon property, but Burnett failed finalize the deal with her, and he didn't send the Henrys any of the money she gave him. 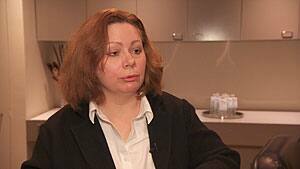 “I do believe he took advantage of the fact we’re a whole province away,” said Maxine. As a result, the Henrys dropped him as their agent. Lam has been living in the home ever since, rent free. She claims she gave Burnett $3,000 in total. “I moved in to own it, not to rent it,” Lam said. "I lost too — and I am not paying anymore. I have paid enough." Lam said she is planning to move out at some point. 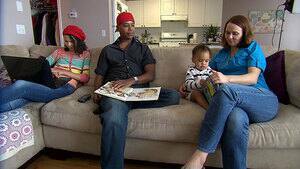 The Henrys now rent a home in Calgary, while looking after their two children and still paying all the bills for their former home, including $4,400 in mortgage payments since September. The couple tried to get police to evict Lam, but were told it is a civil matter. They went to the Residential Tenancy Branch, but were initially told it would not intervene, because Lam is technically not a tenant. Toronto real estate lawyer Bob Aaron said all sellers take that risk, when they sign up for rent to own. Real estate professionals said tenants also risk losing the money they put toward a purchase. Because operators like Burnett are not licensed or regulated, when deals go south, consumers have no recourse but to launch court battles. 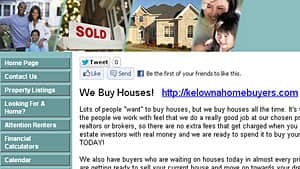 As a result of Go Public’s inquiries, Gale has reported Kelowna Home Deals to the Financial Institutions Commission — the government regulator for the mortgage industry — because of what the company says on its website. “Under the [B.C.] Mortgage Brokers Act, if there is mortgage solicitation going on ... these are all activities which require mortgage broker licensing in our province,” said Gale. She said that could lead to a cease and desist order against the company, which would require them to stop offering mortgage services. Burnett told Go Public he will not give any money back to the Henrys and he takes no responsibility for what happened to them. “When you are a homeowner, you take somebody into your house, you are responsible," said Burnett. The Henrys still faces a potentially long and expensive court battle to get Lam out of their Vernon house. “Because of the financial pressure, we can’t provide for our children the way we should be providing for them,” Maxine said. "And that's the hardest part."